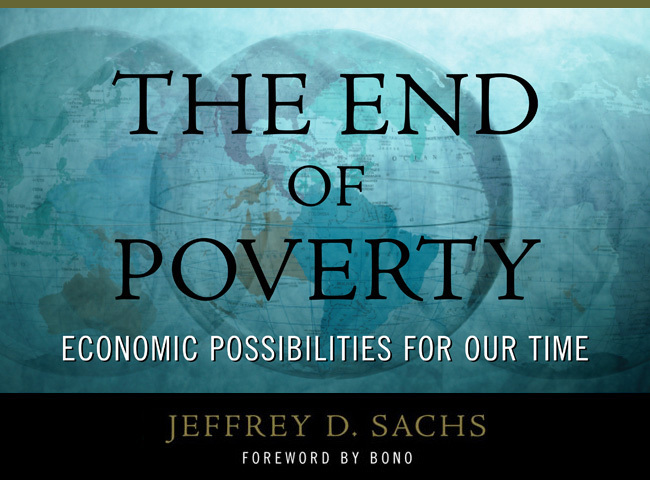 One of the most compelling book titles I’ve ever come across is Jeffrey Sach’s “The End of Poverty.” An American economist, he argues that extreme global poverty could be eliminated through carefully planned development aid, and through helping the poorest countries reach the “bottom rung” of the ladder of economic development. I read the book in 2005, and enjoyed interacting with the topic from his perspective. It was controversial – any book that makes a claim as audacious as this would be – but the premise was certainly compelling. Though his premise may have been controversial within the realm of economists, the idea of ending poverty is not one that readers of the Christian Bible could argue with. This vision appears throughout Scripture. Rodney Stark is a professor of sociology at the University of Washington, and he wrote an influential book called “The Rise of Christianity.” The subtitle foreshadows his premise: “How the Obscure, Marginal Jesus Movement Became the Dominant Religious Force in the Western World in a Few Centuries.” In the book he makes a fascinating case that this very aspect of Christianity – the call to address, alleviate, and even eliminate poverty – was quite possibly the single most important dynamic that led to the incredible growth of Christianity in its early days (see a helpful summary of it here). This concept is very central to the vision of River City. When I pray and dream about ways in which God may use our church, this is front and center. By God’s grace, I believe that we could experience something similar to the early church. I pray that we could see and experience the end of poverty. I’m not naive enough to think we can end poverty in the whole world, or even in our own city. It’s probably too ambitious to hope to end poverty even in a whole neighborhood. That’s intriguing to me. The Bible doesn’t say that the problem of poverty was solved on every corner of the globe. Instead, the Bible talks about the end of poverty in a very localized way. Wherever the people of God were located together, poverty disappeared (or at least was supposed to). When I use a phrase like “the end of poverty,” I do so with a clear sense of how loaded it is. There are many different perspective on what poverty is, and even more opinions as to how to comprehensively address it. There are all kinds of historical forces that have shaped the current version of American poverty, and it is a history filled with dynamics of power, privilege, and race. There are many people who feel like its paternalistic for a white male to even use the phrase in the first place. I understand all of that. I have been aware of and (hopefully) sensitive to these dynamics as I’ve wrestled with this concept for the past 12-15 years. I have sat under a lot of mentors and interacted with a lot of ideas. I’ve seen poverty up close for a while now, and I see how vicious the cycle of poverty can be. It’s a complicated topic with a lot of sharp edges. I believe to the core of my being that this is part of God’s dream. I believe that when the energy of Heaven was released through the risen and resurrected Jesus Christ, poverty was one of the clearest societal problems that his followers were sent to dismantle. I believe that one of the clearest signs of a vibrant Christian community is a united attack against the vestiges of systemic poverty. I believe that one of the healthiest dynamics of a Christian community is when a relational core is established that is built across the full socioeconomic spectrum. That is why “the end of poverty” is something that belongs in the conversation of River City’s three vision pillars of worship, reconciliation, and neighborhood development. Our community has taken on its most substantial risk in our 10+ year history. We have purchased a 12,500 square foot building that we are now renovating to become a church and community center. The path of least resistance would have been to move further east from our current location, and to settle into a cozy and comfortable location. Instead, we have chosen to make our long term home at the most intense cross-section of race and poverty in our neighborhood… and one of the most intense in the whole city. Why would we make a decision like this? Because we believe God has called us to stand on the shoulders of those that have gone before us – the men and women of faith, valor, and courage… the faith communities that took seriously the call to love, justice, and shalom. We stand together, each with our own set of strengths and weaknesses, and we take seriously the call to participate in the ministry of Jesus Christ, as he establishes and advances the kingdom of God in our day and age.